…or in my hand. Anyway, show me my beauty! 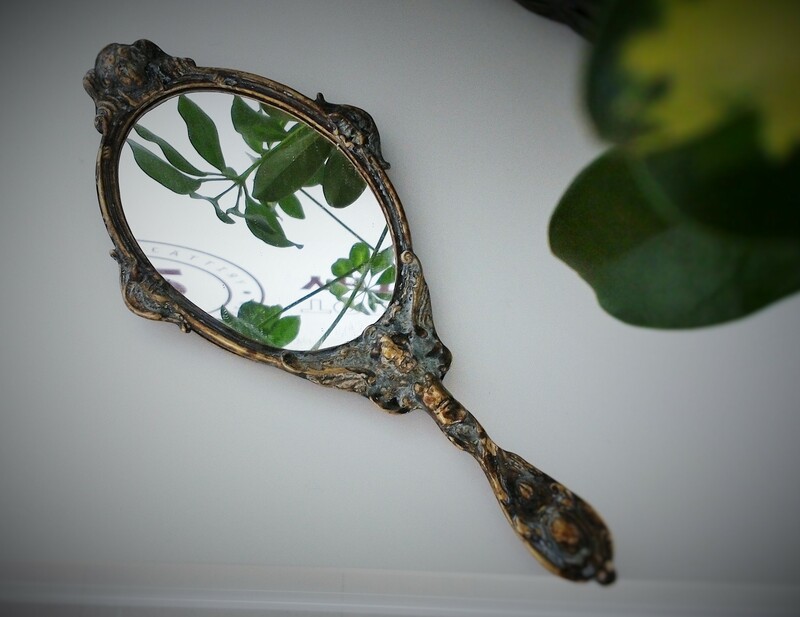 Old and beautiful mirror made of some heavy metal. Who made this? I have no clue.